Love clams, especially in chowder. Wonder if he's finding many Jim, such a lot to see in that background! 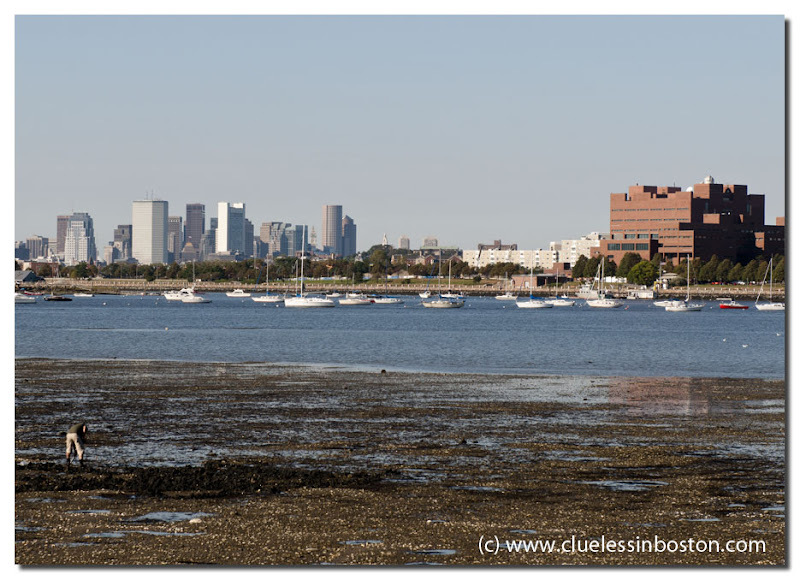 i like the contrast between the simple fact to pick up clams, and the impressive skyline just in front! What a beautiful shot! I love clams. LOL, it took me forever to find the guy clamming! I was stuck on the tremendous backdrop.